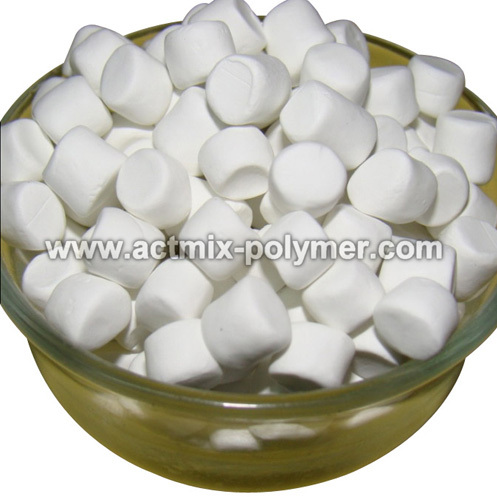 ZDMC is an ultrafast accelerator of natural and synthetic rubber such as EPDM, SBR, NBR. Thiurams and thiazoles accelerator can delay the start of vulcanization and improve processing safety. Compared to ZDBC,ZDEC and ZEPC, ZDMC has a longer scorching time and shorter curing time, alkaline accelerator can activate it .A little ZDMC is also a assistant accelerator of thiols or thiurams accelerator. Its vulcanizate has excellent tensile strength and resilience.Heat resistance in NR and IR can be improved by using together with antioxidant.